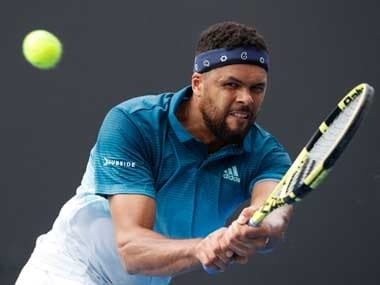 Paris: French number one Jo-Wilfried Tsonga crashed out of the first round at Roland Garros, going down to Argentina's Renzo Olivo in four sets after just one game played Wednesday. 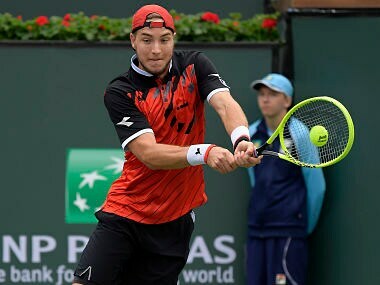 World number 91 Olivo was one game away from victory when their match was halted due to darkness on Tuesday, but he broke the 12th seed immediately when play resumed to advance 7-5, 6-4, 6-7 (6/8), 6-4. The 25-year-old is making his Roland Garros main draw debut and will meet Britain's Kyle Edmund for a place in the last 32. Venus Williams got off to a sluggish start but quickly found her range to beat Kurumi Nara of Japan 6-3, 6-1 and reach the third round of the French Open. The 10th-seeded Williams, a runner-up in Paris in 2002, trailed 3-1 in the opening set but then won seven consecutive games. Williams is playing at Roland Garros for the 20th time, a record in the Open era. "I love being here and I love playing on this court," Williams said. "You never stop learning and that's what I love about the game." Young Austrian hope Dominic Thiem came through a testing workout against Simone Bolelli at Roland Garros on Wednesday, dropping the first three games before overcoming the Italian qualifier 7-5, 6-1, 6-3. 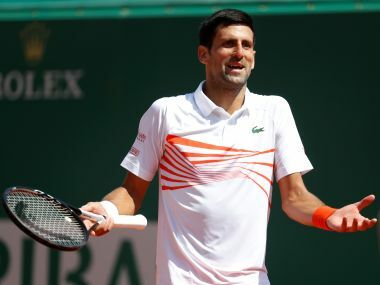 Facing a player competing in his first tour-level event since undergoing knee surgery last June and languishing at 470 in the rankings, the sixth seed came off second-best in the early baseline exchanges. 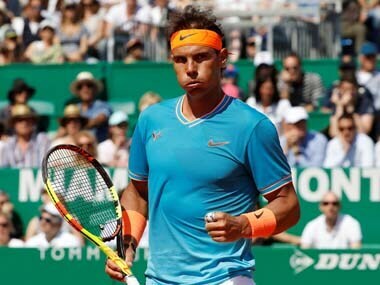 Taking the ball early, Bolelli hurried Thiem into mistiming his trademark booming groundstrokes as the Austrian - an outside bet for title and the only player to have beaten Rafa Nadal on clay this year - sent a succession of crosscourt backhands wide. The Italian saved three break points in the ninth game before surrendering his serve two games later. That left Thiem, who recorded his best grand slam showing in reaching last year's semi-final, to serve out the first set. "The first set was very close, and it was one key of the match today that I won it," the 23-year-old Austrian said courtside. The Italian faded in the second set, when he had a medical timeout for work on muscles around his rebuilt knee, and Thiem finished off the match in just under two and a half hours with an ace to progress to the third round.